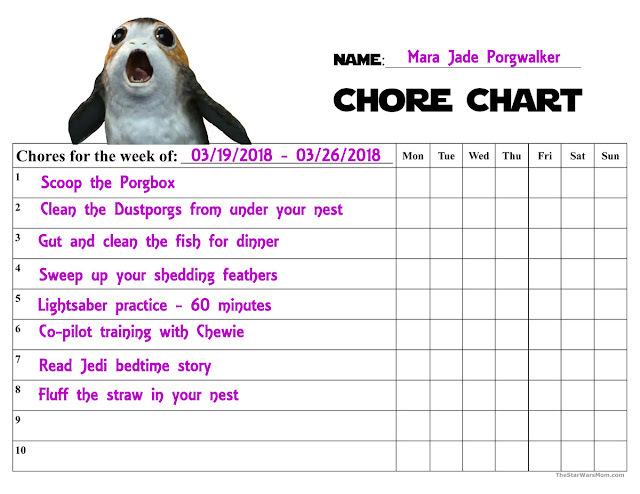 Mara Jade Porgwalker, my pet porg, said I could share her chore chart with you. Mara Jade isn't very happy about chore charts. 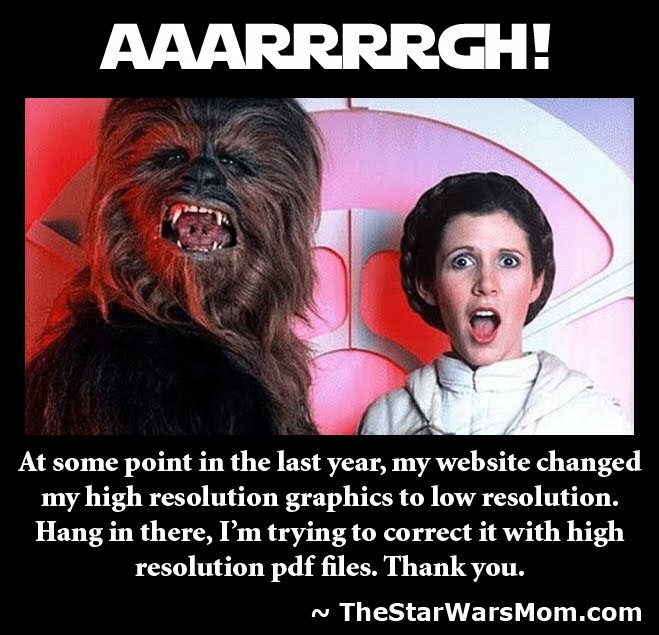 She especially hates having to practice her lightsaber lessons for 60 minutes a day. 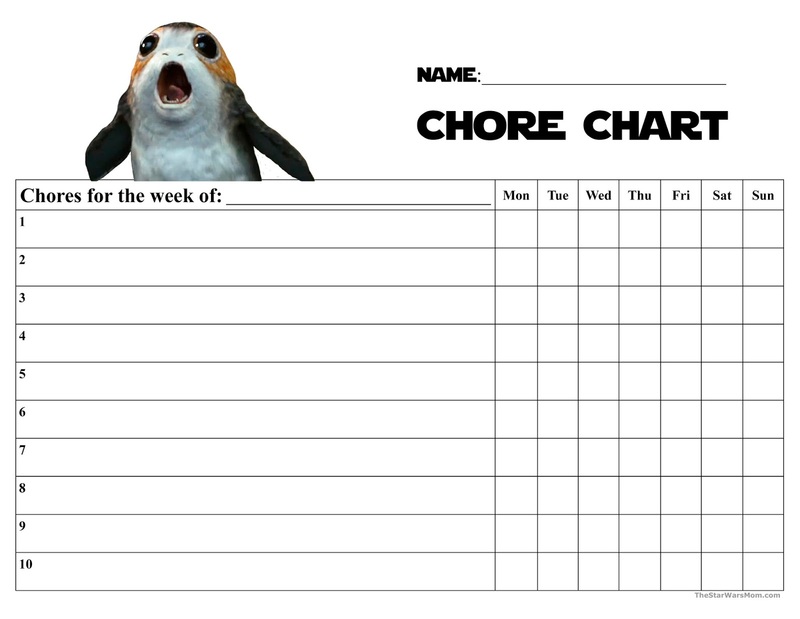 This is another variation of my free printable chore charts on this site. Porgs are one of my favorite Star Wars creatures. Not that they had a lot of purpose in The Last Jedi, but they sure are adorable. 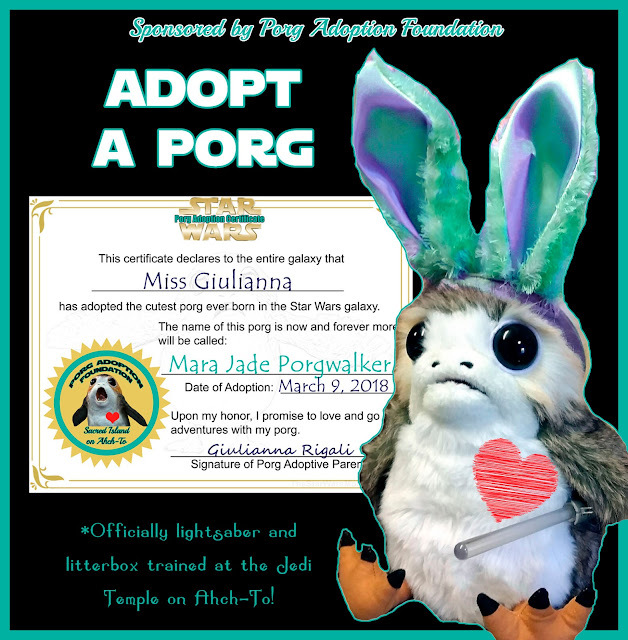 The best way to train up a porg or a child is to have consistent rules and responsibility enforced with consequences. This chart will help you accomplish this very thing.